Rail Barons, Train Palaces, and Great Locomotives Celebrate the glory of Western railways and plan a trip into yesteryear. For $3.95, passengers boarded the Grand Canyon Railway for the first time on September 17, 1901. Shuttered in 1968, the scenic train line was restored between Williams, Arizona, and the South Rim of the Grand Canyon in 1988. When Peter Cooper created America’s first steam engine, Tom Thumb, in 1830, he unknowingly built a machine that would become a symbol synonymous with the American West. Not soon after Tom Thumb hit the rails, the captains of industry assumed command of the railroads and transformed the “iron horse” into a tool of business. With the completion of the First Transcontinental Railroad in 1869, these businessmen built their empires transporting goods and passengers across the vast expanse of the country, opening the great American West to the world. As the number of passengers riding the rails across the West increased, so too did travelers’ desire for greater amenities and more luxurious surroundings. These rail lines, locomotives and luxurious coaches, built by some of the most famous and powerful industrialists in the country, have become symbolic images of America’s Western heritage. Established in 1897 for surrounding copper mines, the Santa Fe and Grand Canyon Railway had steam engines rolling on 56 miles of track in Arizona Territory just three years after its incorporation. The railway never reached the Grand Canyon as originally intended, fell into financial distress and was later sold to the Atchison, Topeka and Santa Fe Railway. After changing the company’s name to the Grand Canyon Railway, the AT&SF finished laying the remaining track to the Grand Canyon in 1901. Passenger traffic ran from then until 1968 and freight traffic ended in 1974. After several attempts to resurrect the line in the 1970s and early 1980s failed, Max and Thelma Biegert, a couple who made a fortune in crop dusting, restored the railway to working order in 1989. Though the GCR exchanged ownership several times following the years after its restoration, trains have been running on its rails ever since. In fact, steam Engine No. 4960, built in 1923 by the Baldwin Locomotive Works, continues to haul passengers from Williams, Arizona, to the South Rim of the Grand Canyon providing folks with a one-of-a-kind historic experience. Today: Engine No. 4960 provides runs once a month, providing roundtrip service from Williams, Arizona, to the Grand Canyon. The engine has been modified in several ways over the years, including burning waste vegetable oil as fuel instead of coal. Named after the director of the Northern Pacific Railroad, Johnston Livingston, the town of Livingston, Montana, was originally constructed for workers who operated the railways and the maintenance shops in the region. Nestled near the banks of the Yellowstone River, this thriving Old Western town is home to an elaborate three-building depot complex that rivals any in the nation. With the increase of affluent passengers from the East wishing to experience the West and nearby Yellowstone National Park, the NPR’s new and ornately designed depot, completed in 1902, fit the style and presence the railroad wished to project to its new clientele. Today the depot houses a museum and plays host to a multitude of other events and tourist functions. Today: For folks looking to actually sample a true Western train ride in the area, the Charlie Russell Chew-Choo fits the bill. The train travels on a spur track, built in 1912, that connects the Montana towns of Lewistown and Great Falls. The ride features a scenic 56-mile trip complete with a prime rib dinner and a hold-up by masked outlaws. On a hot June day in 1878, the Denver and Rio Grande Western Railroad hurriedly constructed the town of Alamosa in southwestern Colorado. A train full of assorted pre-built buildings from nearby Garland City chugged to the townsite where construction began and finished in the same 24-hour period. By 1890 Alamosa had become a beehive of activity, with the railroads’ constant transport of mining ore out of the valley. Eventually this narrow gauge line was replaced by a standard gauge, and a new route to the area was plotted from the small Colorado town of La Veta, over mountainous La Veta Pass, and into Alamosa. Steam Engine No. 18, built in 1910, rumbles over these same rails on the Rio Grande Scenic Railroad today. Originally purchased from the Grand Canyon Railway, Engine No. 18 is the only fully-functioning steam-powered locomotive running on this scenic rail line. This old iron horse is often outfitted to haul a historic parlor car and Pullman coaches refurbished to provide superior comfort for passengers wishing to experience the Old West in lavish style. Today: More than a century old, this standard gauge line continues to not only carry passengers over its historic rails but is used as a working freight line, giving passengers a sense of its historic past. The Governor Stanford was the Central Pacific Railroad’s first locomotive. A steam-powered engine built in 1862 and helped blaze the trail for America’s first transcontinental railroad. The locomotive was named for California’s governor at the time and perhaps the West’s most powerful rail boss, Amasa Leland Stanford. 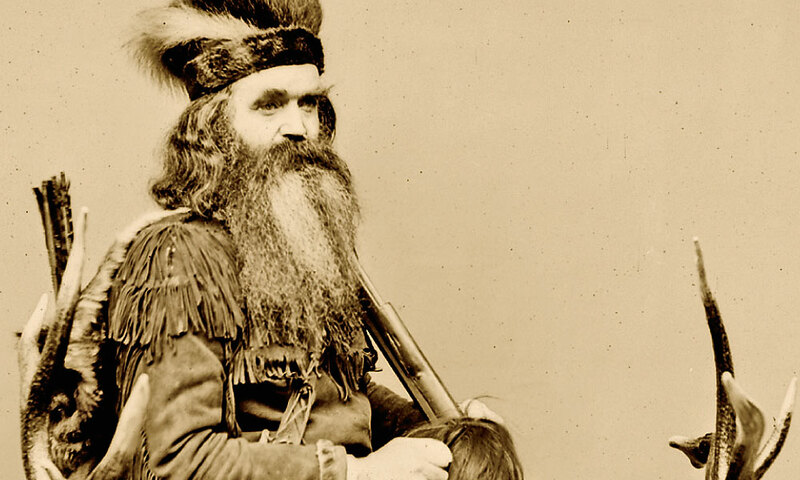 During the Gold Rush of the 1850s Leland, as he was better known, followed his five brothers to California and initially opened a general store for the miners working in the region. While working in the Golden State, Stanford and several associates in 1868 aggressively acquired control of the Southern Pacific Railroad. As president of the company, Stanford guided the construction of the western portion of the Transcontinental Railroad over the Sierra Nevada in California, Nevada and Utah. Stanford also presided at the ceremonial driving of the “Golden Spike” at Promontory Summit, Utah, on May 10, 1869. The locomotive bearing his namesake retired from regular service on July 20, 1895. Today: Now on display at the California State Railroad Museum in Sacramento, the Governor Stanford locomotive has been cosmetically restored to its 1899 appearance and is currently a centerpiece at the museum. met at Promontory Summit, Utah Territory, for the celebratory “Golden Spike” ceremony commemorating the completion of the first transcontinental railroad. While in Utah Territory, the two locomotives came nose to nose in a historic convergence known as “The Meeting of the Lines.” Engine No. 119 carried Thomas C. Durant, vice president of UP, while CP’s Jupiter, hauled rail boss Leland Stanford and the famous Golden Spike. After the locomotives reached their destination, the spike was driven into the final railroad tie to signify the completion of the historic event. In the 1870s, CP decided to end their practice of naming their engines, and thus, the Jupiter name was dropped and the engine became known as C.P. #60. The locomotive was later scrapped in 1909. Engine No. 119 was scrapped in 1903. Today: In the 1970s, the National Parks Service commissioned several exact, full-size replicas of the Jupiter as well as a version of Engine No. 119. Neither engine had any surviving drawings or plans so new ones were produced based mostly on historic photographs of the engines. Both replicas began operation on May 10, 1979, and continue to make demonstration runs today. The National Park Service’s replica of the Union Pacific’s famous locomotive No. 119 joins the Jupiter replica twice a day every Saturday and holidays between May 1 and Labor Day for a re-enactment of the original ceremony at the Golden Spike National Historic Site in Promontory, Utah. In 1881, the D&RGW began construction on a rail line from Durango to Silverton, Colorado. By July of 1882, the tracks to Silverton were completed and trains began hauling both passengers and freight. From the opening of the line, the railroad promoted it as a scenic route, although it was primarily used to haul gold and silver from the San Juan Mountains. While most of the engines used during the 19th century no longer roll on these rails, the 480 series, constructed in 1925, still do. These locomotives were the last ten narrow gauge locomotives constructed for the D&RGW. Originally used for freight-hauling, the 480 series have been converted to pull 12-car passenger trains today. Today: The Durango-Silverton line, registered as a National Historic Landmark in the late 1960s, provides year round train service operating historic 100 percent coal-fired, steam-operated locomotives. Originally a small narrow gauge rail line constructed in 1887, the current Mt. Rainier Scenic Railroad was formerly a line of the Tacoma Eastern Railroad. The railroad converted to standard gauge three years after its initial construction. In 1900, it was reorganized to focus on the Nisqually coal fields and the timber forests south of Mount Rainier. With this reorganization, the rail line was extended from Tacoma to Elbe, Washington, and eventually to the small town of Morton. Built by the Willamette Iron and Steel Works in 1929, Engine No. 2 of the Mt. Rainier Scenic Railroad is the only operational Willamette Locomotive in the world. Willamette locomotives were geared steam engines specifically engineered for steep grades with rapidly laid track. Because of these unique features, Engine No. 2 and similar locomotives were valuable assets for logging operations in the Pacific Northwest at the turn of the last century. Today: The MRSR officially opened in 1980 and operates four steam locomotives. These engines make up one of the most comprehensive collections of steam-powered logging locomotives in the United States. Engine No. 2 travels today providing its passengers with a taste of a bygone logging era. Built in 1880, the track between Antonito, Colorado, and Chama, New Mexico, was part of the San Juan Extension of the Denver & Rio Grande Western Railroad, with tracks running from Denver through the ore-rich Rocky Mountains into Silverton, Colorado. Its path through steep passes and deep gorges was an engineering feat for the time. The decline of silver mining in the 1890s ended the railroad’s vital role. D&RGW’s Engine No. 463 is a steam railway locomotive and one of two remaining compound engines purchased by the company in 1903. This reliable locomotive pulled freight, passengers and mixed trains over Colorado’s Rocky Mountains, traversing the entire length of the railroad. Engine No. 463 continues to provide service on the Cumbres & Toltec Scenic Route today. 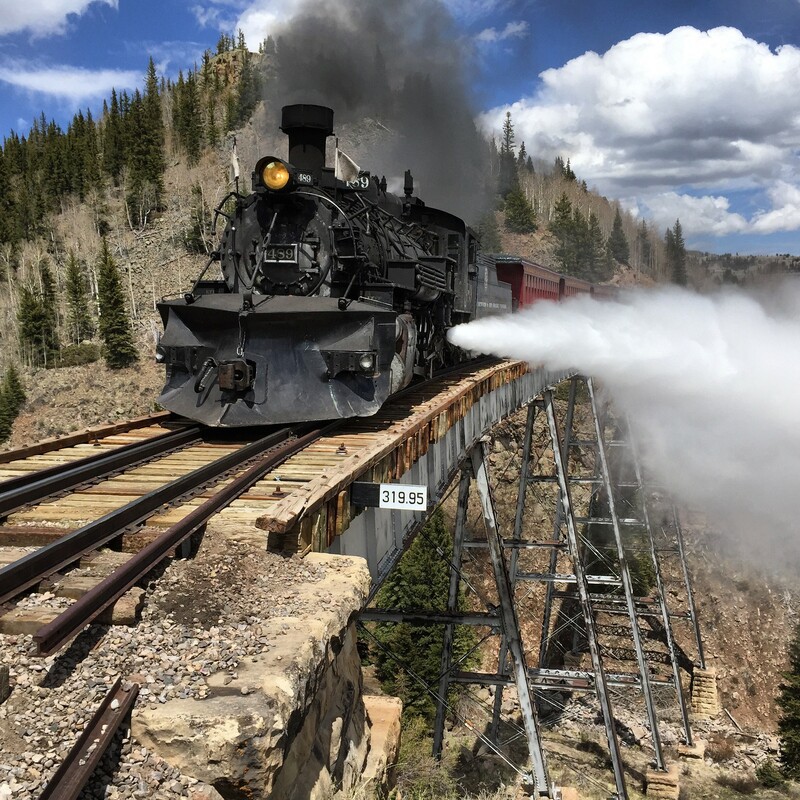 Today: The Cumbres & Toltec takes passengers on a ride connecting Colorado and New Mexico, traversing the San Juan Mountains and traveling through the Conejos Valley. Engine No. 463, once owned by cowboy actor and singer Gene Autry, was donated to the Cumbres & Toltec in 1994. In 2009, it was moved to the railroad’s shop at Chama, New Mexico, where a major rebuild was completed in 2013. Before the town of North Platte, Nebraska, sprang up at the confluence of the North and South Platte rivers, the area was frequently used by the railroad. Surveyed by Grenville Dodge in 1866, this encampment was originally known as “Hell on Wheels Town.” It included an itinerant collection of gambling houses, dance halls, saloons and brothels that served the Union Pacific workers living in the area. The UP workers also established a repair facility for the locomotives in Hell on Wheels. This repair facility became the Bailey Rail Yard. Famous scout and showman Buffalo Bill Cody, a mainstay in North Platte for 30 years, found that his location near the Bailey Yard allowed him to move his Wild West show equipage across the United States relatively quickly. Buffalo Bill, who was no stranger to amenities, often enjoyed the lap of luxury when traveling out of North Platte in his own private Pullman coach. His car contained sitting rooms with sleeping berths, a dining room, kitchen and a bathroom all lit with kerosene lamps. 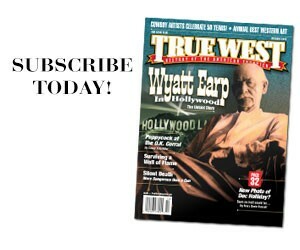 Today: The spirit of the Old West not only survives in North Platte, but thrives. Union Pacific’s Bailey Rail Yard is the world’s largest with activity around the clock. And Buffalo Bill’s Scout’s Rest Ranch, now a national historic park, is home to the famous showman’s 1866 Second Empire mansion. Originally serving as a passenger train for several decades, Engine No. 40 was retired by the Nevada Northern in 1941. Unbeknownst to the Northern Nevada ownership, however, the locomotive received a complete overhaul in secret by the shop crews in the Ely roundhouse. With its restoration, car No. 40 is now one of the oldest active trains in America. When the Nevada Northern shuttered its doors in 1983, the City of Ely was given the historic locomotive, along with the entire East Ely Yard, which remained unaltered since 1906. Today: The Nevada Northern Railway is considered the best-preserved example of a standard-gauge short line in North America. Today, Engine No. 40 provides several themed trips throughout the year, including haunted ghost rides and Christmas excursions during the holiday season. Constructed in 1886-’87, the Union Pacific train depot in Cheyenne, Wyoming, with its 118-foot high clock tower stands majestically above the Great Plains and symbolizes America’s Western heritage. The roundhouse, turntable and machine shop were uniquely designed for the maintenance and storage of steam locomotives. One of the older locomotives to maintain residence at the Cheyenne Yard is UP Engine No. 1242 which was built in 1890. Nicknamed “Old Sadie” the locomotive ran on the 45-mile Walcott-Saratoga-Encampment branch line from 1921 to 1954. Also referred to as a “Harriman Engine” because it is from an era when rail baron E.H. Harriman controlled the Union Pacific, No. 1242 is one of the oldest surviving locomotives from the UP roster. 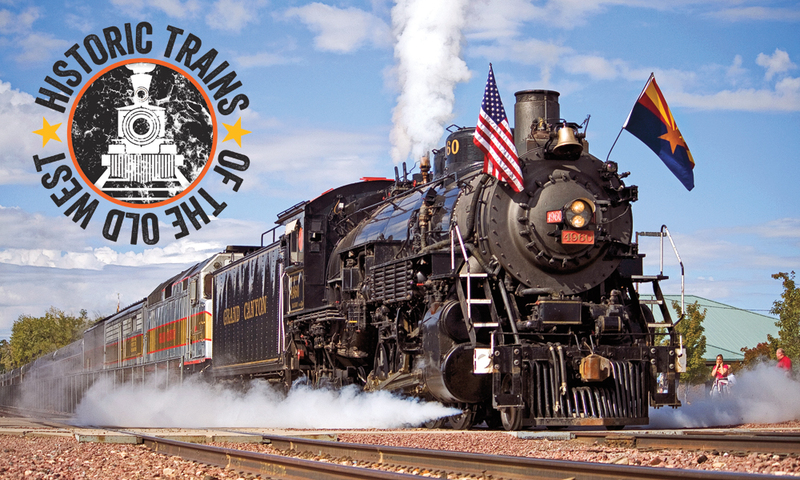 Today: The UP currently maintains a fleet of historic locomotives in the Cheyenne Yard for special trains and historic excursions. However, Engine No. 1242 remains on static display in the railyard. One of the closest historic rail lines for folks to enjoy is the Black Hills Central Railroad with its 1880 Train. It celebrates gold country and gives a tip of the hat to the old Cheyenne-Deadwood stage line that ran from 1876 to 1887. In the summer of 1859, following the great Colorado gold rush, the Griffith brothers, George and David, discovered gold at the south fork of Clear Creek in present-day Idaho Springs, Colorado. After news spread of their discovery, a small settlement sprang up named “George’s Town” (present-day Georgetown). In 1871, after experiencing a second boom following the discovery of silver in the region, Georgetown officials began searching for the best way to transport the millions of dollars of silver ore pouring out of the surrounding mines. In 1879, railroad kingpin Jay Gould, who had a controlling interest in the Union Pacific, took control of the Colorado Central Railroad and hatched a plan to provide transport of the ore. On February 23, 1881, Union Pacific organized the Georgetown, Breckenridge & Leadville Railway to extend the Colorado Central Railroad west from Georgetown to Leadville. Construction was only completed to Graymont, four miles west of Georgetown, but included the 600-foot-high architectural marvel known as the Georgetown Loop running between Georgetown and Silver Plume. Today: During the late 1930s the Loop was dismantled. However, in 1973 the Colorado Historical Society began restoring the railroad. On August 1, 1984, the reconstruction of the Georgetown Loop was complete and people have been enjoying the historic route since then. Kellen Cutsforth writes articles for several publications relating to the history of the Old West and authored the 2015 book Buffalo Bill, Boozers, Brothels and Bare Knuckle Brawlers. Seats of Luxury Bear in mind these strange creations by Pacific Coast nimrod Seth Kinman. 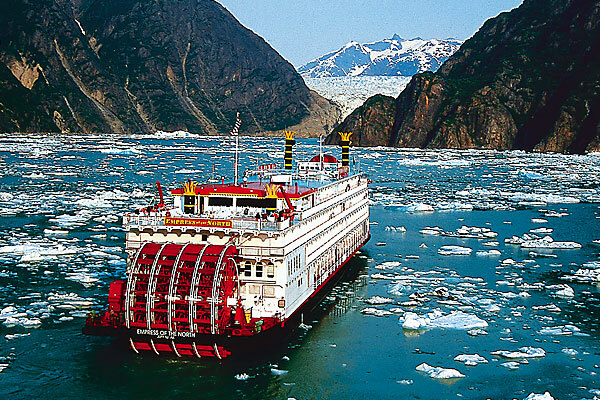 Juneau, Alaska A #9 True Western Town.